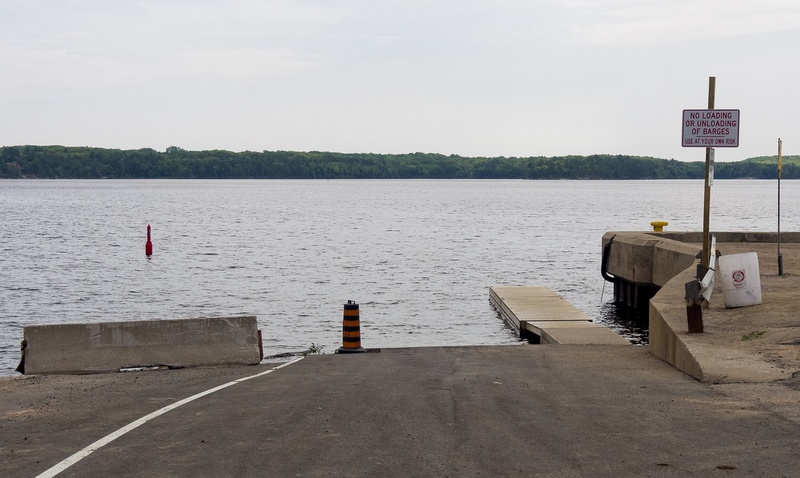 This is the fourth post looking at boat launches in Parry Sound. Previous posts looked at the launches as a group, with separate posts on the Champaigne and Waubuno Street launches. Also known as the Salt Dock (it’s a major facility for the offloading of road salt for the district) the Smelter Wharf is ‘in transition’ in my opinion. The launch was repaired last year to the tune of about $50,000, and as you will see from photos below it seems to need additional work. 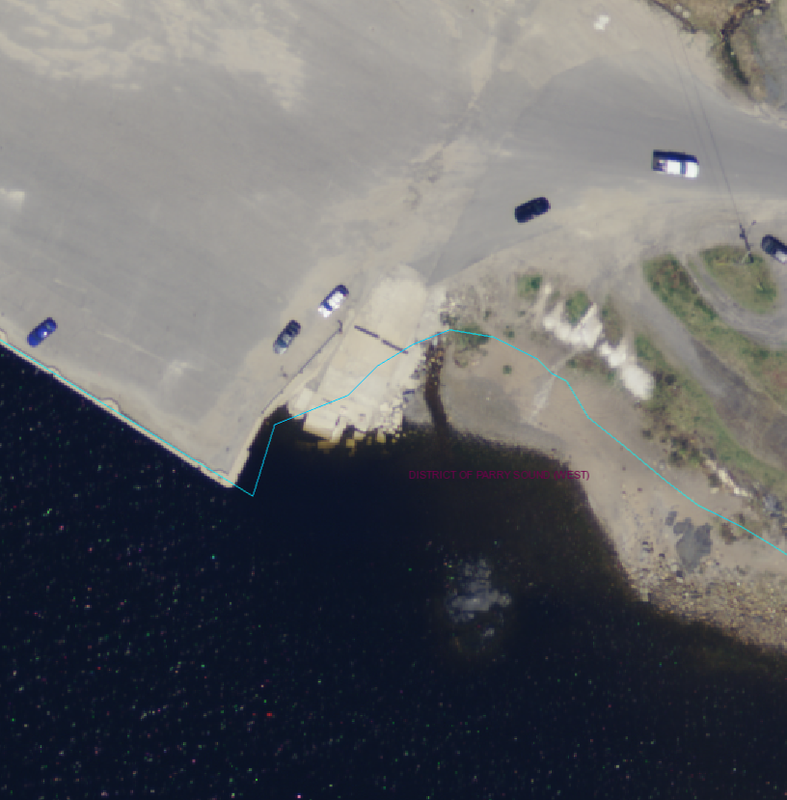 At present the launch is restricted in terms of the launch width, but it should not present an issue for any vessel that can be trailered on the road. 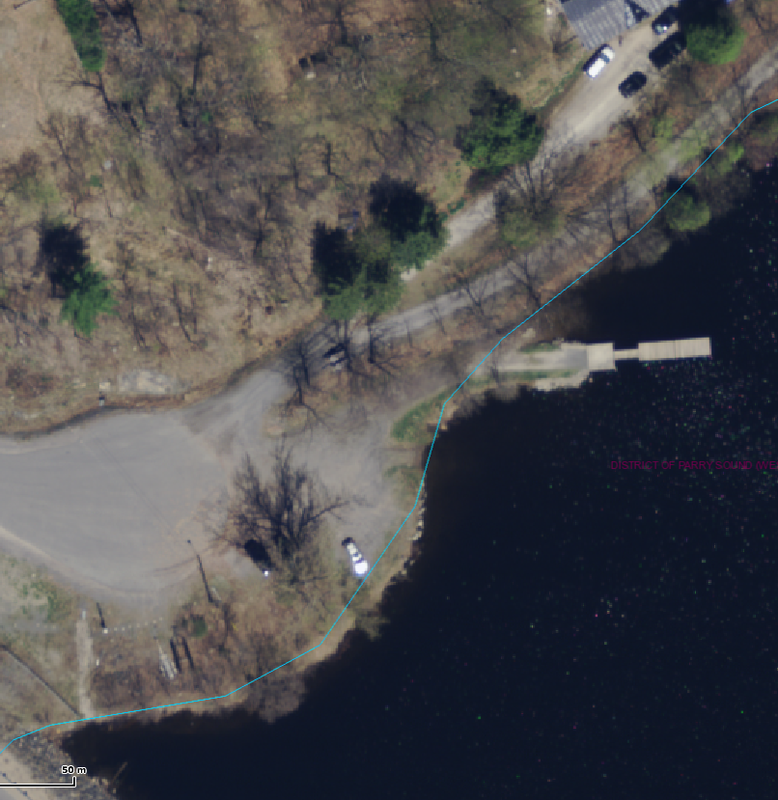 The aerial photo below (click for a closer view) shows the launch site last Spring while it was still closed off and awaiting repair, with the docks not yet installed. 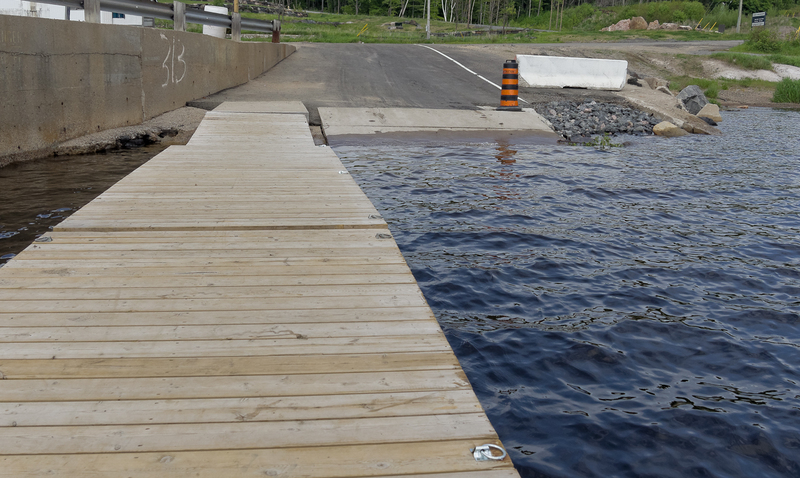 The two following photos show the condition of the launch as of June 2, 2014. The width of the launch is limited and a small section of the launch requires some resurfacing (construction cone). 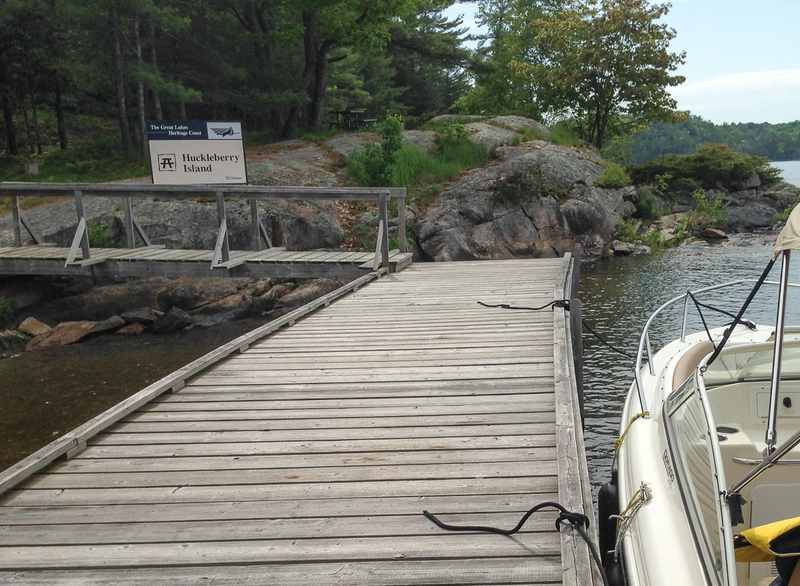 Otherwise the launch is quite functional with a 40-foot dock. 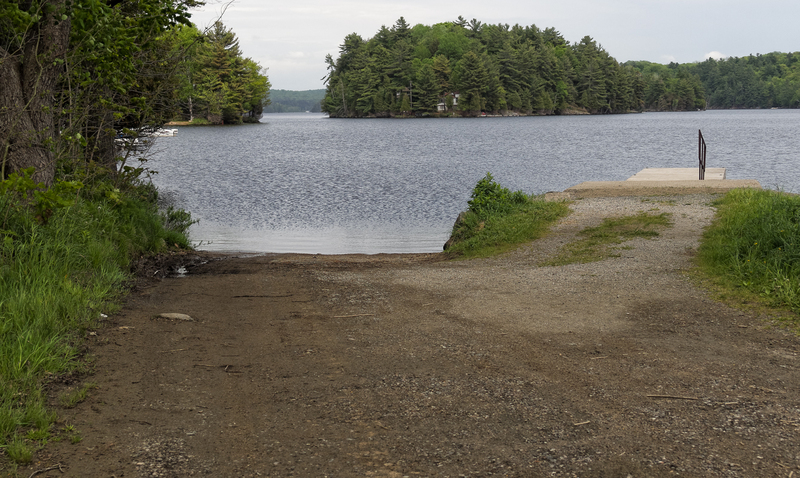 There is a rapid drop off, so it isn’t necessary to back up too far before a boat will float. 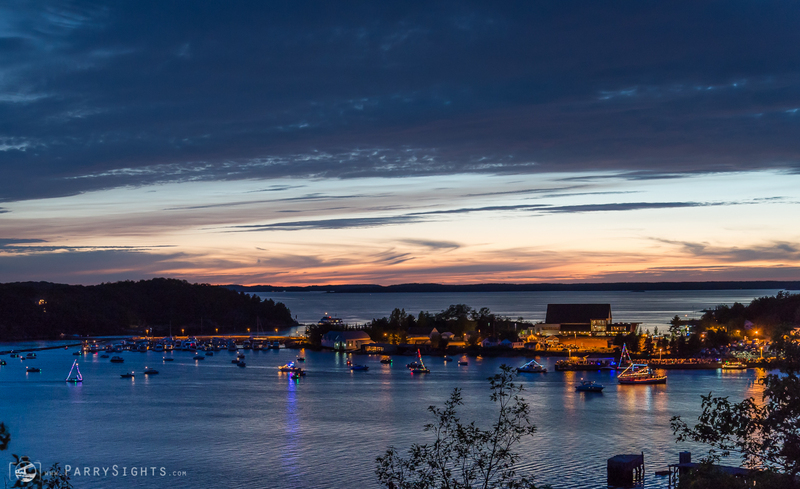 There is lots of parking available, assuming that there are no events/ongoing in the wharf area. Despite this I rarely, if ever, see vehicles with trailers parked in this area. The Champaigne Street launch seems to be where people leave vehicles and trailers. I suggest you contact the Town for information if you you are interested in longer term parking at this site. I expect there is no issue for same day, or single day overnight parking. Extended docking is not appropriate beyond the time required to launch.